Earlier this month IM+ Pro was updated, but the ad-supported version was not. Luckily, for those who have the Lite version, you can get updated to version 8.5.1. New UI elements with tabs, new message indicators etc. Convenient history review for all conversations. 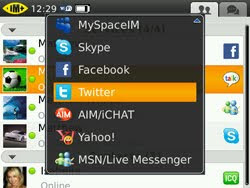 chat for MSN and Skype. For more info click here. Or, download via OTA.